Why, hello there, faithful readers. 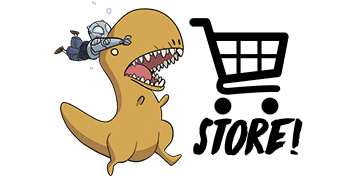 In case you missed it, the first issue of our new series, ATOMIC ROBO AND THE DAWN OF A NEW ERA came out last Wednesday. You can grab a copy of your very at a local comic shop, or an online store, or straight from comiXology. Of course you can still read it for free at this very webtronic infosite, you’ll just have to wait for us to finish the last issue of The Nicodemus Job somewhere in February. Speaking of which, be sure to check out The Nicodemus Job from the beginning if you’re a crazy person who hasn’t given it a shot yet! You probably didn’t know how much you needed a Byzantine Era library heist in your life. 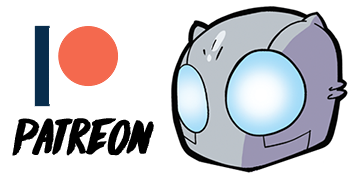 Hey, a great way to support Atomic Robo in the new year would be to join our Patreon! You get all kinds of perks like behind the scenes news, first dibs on new merch and discounts, blog posts about our process, preview art, and signed comics mailed right to your door! Check it out!